Have you ever wondered why some people and some businesses make great use of social media and other digital marketing channels while you struggle to get through your to-do list each day? We all only have 24 hours – so how do they accomplish so much? The answer is – they use the right tools! For example, a competitor seems to have an endless supply of high quality graphic posts on Facebook. You know they haven’t hired a graphic designer – so how are they doing it? It’s very likely that they are using one of the great free services, like Pagemodo, that allow ordinary folk (those without a graphic design degree) to produce great looking images. Over the years, I’ve gathered a lot of experience by trial and error. The trouble with this approach is that it costs time and money. One of the best ways to avoid this is to follow others who have been there before you and learn from their mistakes. I run marketing workshops for small businesses and I see the same problems occuring over and over again. 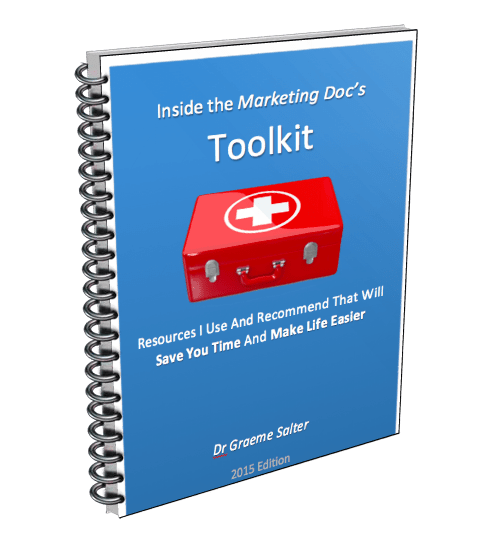 That’s why I decided to capture my knowledge in a small report that can point you to tools and resources that I use, which have the potential to save you a lot of time and effort.